I cannot contain my excitement when Alliet Chinon is available. My friend Jen gave me a bottle of 2005 a long time ago and told me to wait til 2015 to drink it. That's hard! But I did it. And when I opened it, I didn't expect to be blown away as much as I was. The wine drank like one of the purest, most perfect cab francs I've ever had. It almost drank like a finely aged Bordeaux. Usually this wine commands cellaring, or decanting for a few hours, and patience is key to enjoying it. For some reason the 2015 is ready to please now and with a touch of decanting it gets even better. 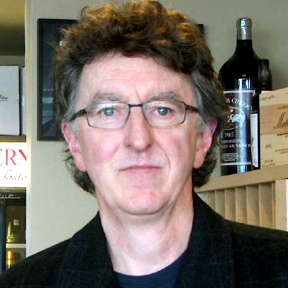 This 2015 vintage in the Loire is, and I'm quoting Skurnik's website, "...a red wine vintage for the ages, -the best in our lifetime, the best in generations." Nuff said! 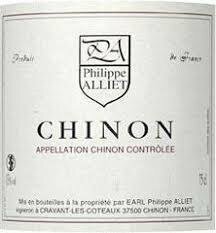 Alliet is one of the great producers in the world and considered by many to be the top Chinon producer. The vintage is one of the best! And the price is crazy good. Buy it now, there isn't a lot in town and you'll be so happy drinking those over the years to come.